You’re ready to buy a home but which mortgage do you need? And which one is going to work best, based on your savings, credit and income? This guide breaks down the basics of mortgages so you know what to expect when you’re ready to get a loan. Keep reading for the skinny on mortgage types, where your credit fits into the mortgage picture and how to gauge just how much home you can afford. 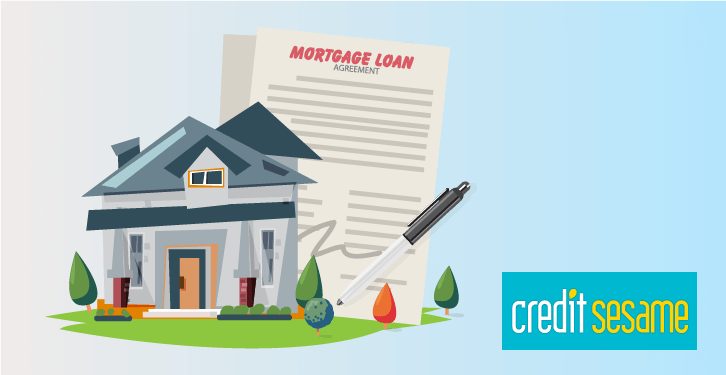 Mortgages aren’t all created equally. The first thing you need to know as a prospective buyer is how they differ. There are five broad categories of mortgage loans. A conventional loan is made by a lender to a borrower. It is not insured or backed by the federal government, unlike some of the other loans you’ll read about later. A conventional mortgage that adheres to guidelines established by Fannie Mae and Freddie Mac is called a conforming loan. In 2018 the maximum loan amount for borrowers in most U.S. counties is $453,100. A mortgage that doesn’t fit this mold is a non-conforming loan. Conventional loans typically have a 30-year repayment term, although it’s possible to get a 10-, 15- or 20-year loan if you’d prefer to pay it off a little faster. Shorter term loans have higher payments but lower interest charges overall. Cutting the loan term in half does NOT double the payment. If you can afford the higher payment, you’ll save a significant amount of money and 15 years of payments. Conventional loans can have a fixed or adjustable interest rate. In a fixed rate loan, the interest rate does not change for the life of the loan. An adjustable rate loan typically starts out at a lower rate, but the rate can change at predetermined intervals. This kind of loan might be more attractive if you don’t have a large down payment. First-time buyers who choose an FHA mortgage can buy a home with as little as 3.5 percent down. Another advantage of FHA loans is that you don’t need perfect credit to qualify. The minimum credit score for an FHA loan is 580, and borrowers with a 10 percent down payment can qualify with a 500 credit score. There’s a special type of FHA loan available if you’re hoping to buy a fixer upper. A 203k loan is designed specifically for borrowers who want to buy homes that need extensive repairs. 203k loans may come with higher interest rates than a typical FHA loan and the paperwork is a little more involved, which may mean a longer wait to close. All FHA loans require private mortgage insurance. The U.S. Department of Agriculture sponsors a home loan program. USDA loans have no down payment requirement. You’ll need a 640 credit score to qualify. USDA loans are only available for eligible properties, generally in rural areas. loans, you must live in an eligible rural area. Fortunately, the USDA uses a broad definition of what counts as a rural area. You can enter an address on the USDA website to see if it is eligible. USDA loans are for low- and moderate-income buyers. To be eligible, your income cannot exceed the limits for your county. A USDA loan requires mortgage insurance. If you’re a veteran or qualified spouse, a VA loan might be a good fit. There is no down payment requirement. You must have a 620 credit score. The home you buy must meet certain inspection standards set by the Department of Veterans Affairs, but that’s typically not a huge hurdle to overcome. A VA loan doesn’t require any monthly mortgage insurance, but it does require a funding fee up front. An adjustable rate mortgage is one in which the interest rate can change at predetermined intervals. Common ARMs have a low fixed interest rate for a set number of years, and then a rate adjustment once a year after that. This is known as a hybrid ARM. The interest rate is based on a benchmark rate, such as the prime rate, plus the lender’s margin. Lenders use many factors to determine whether you qualify for a home loan, including your income, your debt, your assets and your credit standing. Advertised interest rates are, for the most part, reserved for applicants with excellent credit. Everyone else will pay more. Make it a priority to get your credit in shape before you apply. Your efforts could be very well repaid. Create a free Credit Sesame member account if you’re not already a member. When you set up your account, you can see your free credit score and your personalized credit dashboard. This dashboard tells what to work on to bring your score up. Credit Sesame assigns a grade for each of these categories. If you see low marks in one area, that’s your clue as to what you can do to improve your credit rating. The two most important factors are payment history and credit utilization. Pay all of your bills on time, and don’t charge up your credit cards. “How much home can I afford?” is one question you can’t get wrong. How much of your income goes to debt each month? Your lender will want to see this number at 43 percent or less. When you crunch the numbers for your new monthly payment, remember to factor in new homeowner expenses that you don’t pay when you’re a renter. If you’re feeling overwhelmed, plug the numbers into Credit Sesames mortgage calculator to get an idea of how large your homebuying budget is. While you’re at it, take time to visit the mortgage loan research center to learn more about mortgage types and programs. And don’t forget to sign up for your free Credit Sesame account to get your credit score and credit report card. If you’re ready to take on the responsibilities of homeownership, you’ll find a smorgasbord of loan options on the market to suit just about any borrower. It’s their job to know about a variety of loan programs that could work for you. Every time you apply, the lender will provide you with a Loan Estimate. The Loan Estimates will all look exactly the same, and you can easily compare terms and costs.